The wait is almost over. 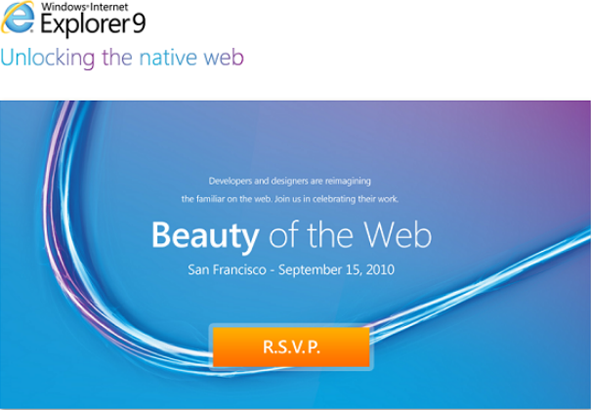 Today, Microsoft will reveal everyone’s anticipated, Internet Explorer 9 web browser. Can’t make it to San Francisco? Well, worry no more. You can tune in into the live webcast on Wednesday, 10:30am PST and experience “the beauty of the web” event for yourself.